Eugene H. Schaffer, Sterling, died Thursday in the Moses Taylor Hospital Intensive Care Unit. His wife of 64 years is the former Charlotte Hollister. Born in Uswick, Wayne County he was the son of the late Herman and Lilliam Warner Shaffer. He was a member of the Jericho Independent Church. Prior to his retirement he had been employed as a laborer with the Bethlehem Steel Company. 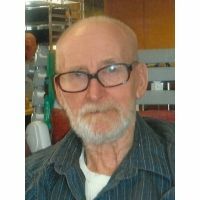 He was a dedicated volunteer with the Hamlin Volunteer Fire and Rescue. He was a United States Army veteran serving dureing World War II. The family would like to thank the staff at the of 3N at Allied Skilled Nursing Center for their kind and compassionate care for past 2 years. Also surviving are daughters Eileen Smilnak and her husband John of Montdale and Louise Sharpe and her companion Gaeton Mulea of Elizabethville, Pa; sons Chris and his wife Kathleen of Sterling, Carl and his wife Mary of Maplewood and Lloyd and his wife Diane and Roy all of Sterling; sisters Alberta Bair of Sidney Center, NY, Marie Eisenhower and her husband William of Ozark, Ak and Margaret Haase and her husband Fred of Beach Lake; a brother George and his wife Betty of Hawley; eighteen grandchildren; 21 great grandchildren; 2 great great grandchildren; several nieces and nephews. He was preceded in death by a brother James. Funeral services will be Tuesday at 11am in the Jericho Independent Church Route 196 and Jericho Rd, Sterling with Rev. William Henwood officiating. 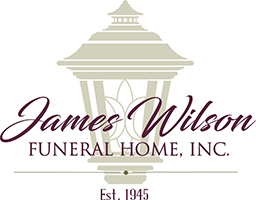 Friends may call Monday from 4-7pm in the James Wilson Funeral Home 143 Gravity Rd. Lake Ariel and Tuesday morning from 10am until time of service at the church.